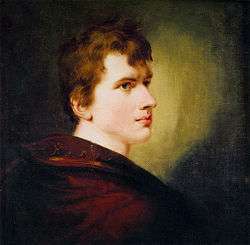 Carl Joachim Friedrich Ludwig von Arnim (26 January 1781 – 21 January 1831), better known as Achim von Arnim, was a German poet and novelist, and, together with Clemens Brentano and Joseph von Eichendorff, a leading figure of German Romanticism. Arnim and his elder brother Carl Otto spent their childhood with their maternal grandmother Caroline von Labes in Zernikow and in Berlin, where he attended the Joachimsthal Gymnasium. In 1798 he went on to study law, natural science and mathematics at the University of Halle. His early writings included numerous articles for scientific magazines. 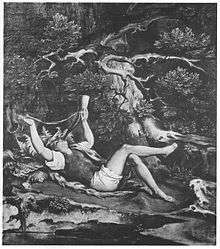 His first major work, Theorie der elektrischen Erscheinungen (Theory of electrical phenomena) showed a leaning to the supernatural, common among the German romanticists. 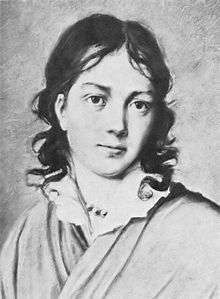 In Halle he associated with the composer Johann Friedrich Reichardt, in whose house he became acquainted with the Romantic poet Ludwig Tieck. From 1800 he continued his studies at the University of Göttingen, though, having met Johann Wolfgang von Goethe and Clemens Brentano, he inclined from natural sciences towards literature. Arnim received the degree of a Doctor of Medicine in 1801, but never practiced. Gilman, D. C.; Thurston, H. T.; Colby, F. M., eds. (1905). "Arnim, Ludwig Joachim von". New International Encyclopedia (1st ed.). New York: Dodd, Mead. Wikisource has the text of the 1911 Encyclopædia Britannica article Arnim, Ludwig Achim (Joachim) von.